B.C. 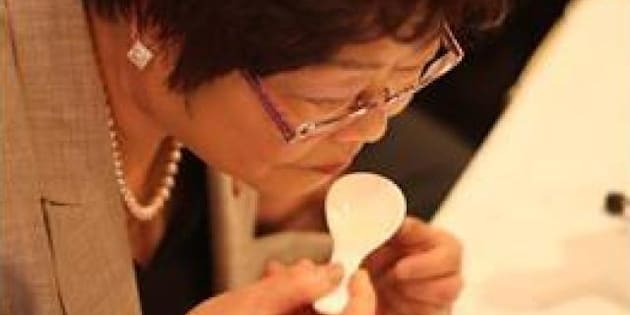 MP Alice Wong slurped back a bowl of shark fin soup at a news conference in Richmond for Asian media only as contentious debate about banning shark fin products swirls in her home riding. It appears no English-speaking media were invited on Thursday, reported the Richmond News. The event was held at the Jade Restaurant, whose owner, David Chung, is a vocal opponent of banning the traditional Chinese delicacy. According to Chinese media reports, the Tory MP underlined her government’s position that regulating shark fin products is a federal issue, and not one for municipalities to handle. “We have no intention of introducing legislation to make shark fin soup illegal,” read a statement sent by Wong’s spokesman, Robert Lynch, and shared by Chinese newspaper Ming Pao with Metro. “If a product such as shark fin is derived from a legal, humane and sustainable harvest, we see no basis to restrict its trade,” said the statement. Chung, who is also head of the B.C. Asian Restaurant and Cafe Owners Association, said he will stop serving shark fin soup if and when federal regulations are brought in. In the meantime, he feels a ban is “culturally insensitive,” said Metro. Chung has said before he doesn’t believe that the shark fin he serves in his restaurant comes from finning, where fins are cut off sharks and the animal thrown back into the ocean to die. Shark fin soup, which can cost up to $80 a bowl, is considered a delicacy and status symbol served at banquets. However, increasing numbers of younger Chinese diners are no longer ordering it for their special events. The City of Vancouver is working toward a shark fin ban, while Richmond, Burnaby and Surrey are all looking into it. According to a 2009 study by the International Union for the Conservation of Nature, more than a third of all shark species are threatened with extinction because of shark finning.